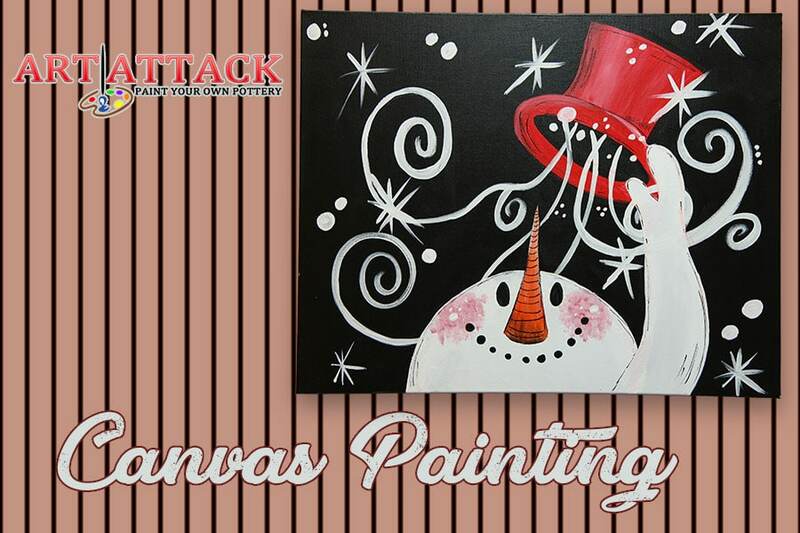 Get ready to decorate your home or office with a Festive or Holiday inspired canvas masterpiece that you paint. 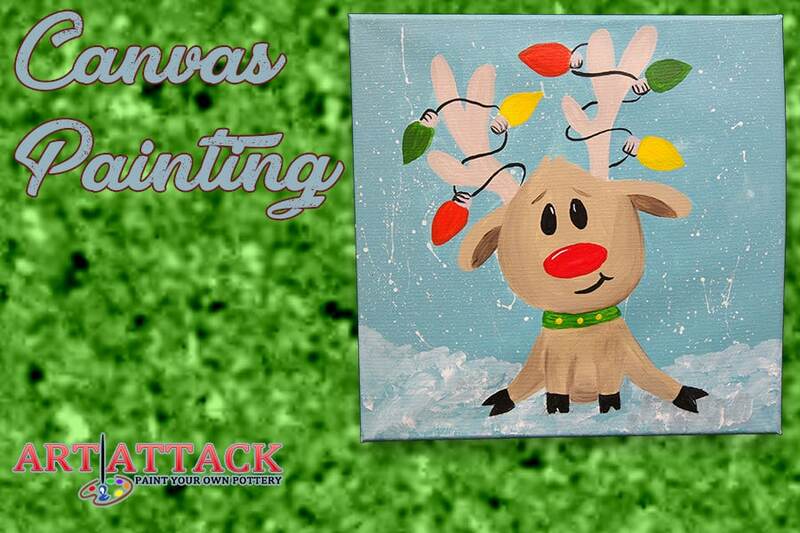 Whether it’s a Jolly Snowman, Adorable Reindeer, Festive Poinsettias or a beautiful Christmas scene. We offer over 100 unique design kits for you to choose from. Our easy to follow self-guided kits make painting a breeze even for beginners. The painting kits walk you through step-by-step instructions letting you now, which paint colors and brushes to use. Tracing templates are easy to use and allow for even a novice to paint tricky designs. As always we encourage you to change up the colors if you like and make it totally yours. Our friendly Creative Assistants our always available to assist you along the way. Everyone leaves with a masterpiece in hand and feeling like an artist. No reservations required! 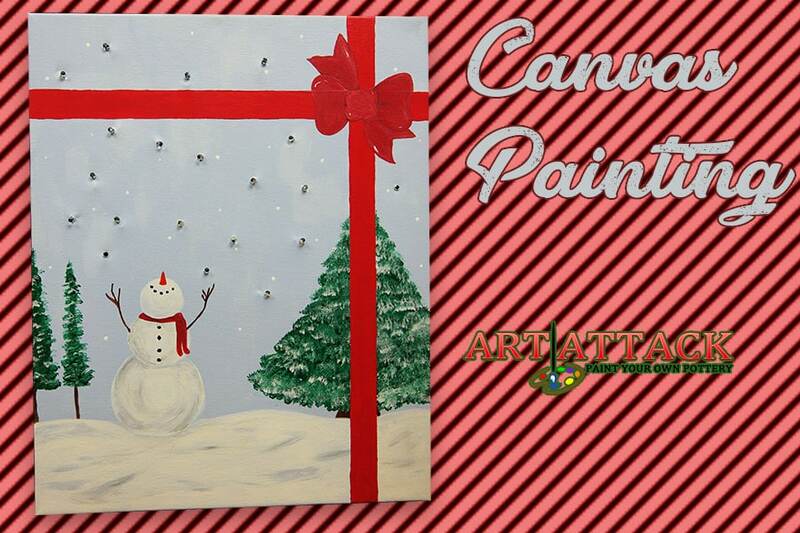 Walk in canvas is available 7 days a week for all ages. Don’t forget to bring your family, friends, some snacks and create some memories with us. Prices range for $25.00-$35.00 depending on size. 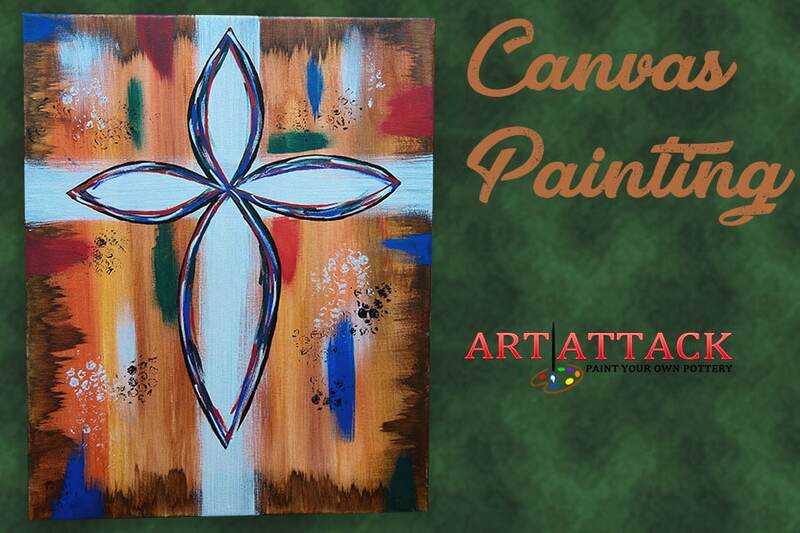 Weekly canvas specials are on Tuesday & Thursday’s, $5.00 off any canvas size. 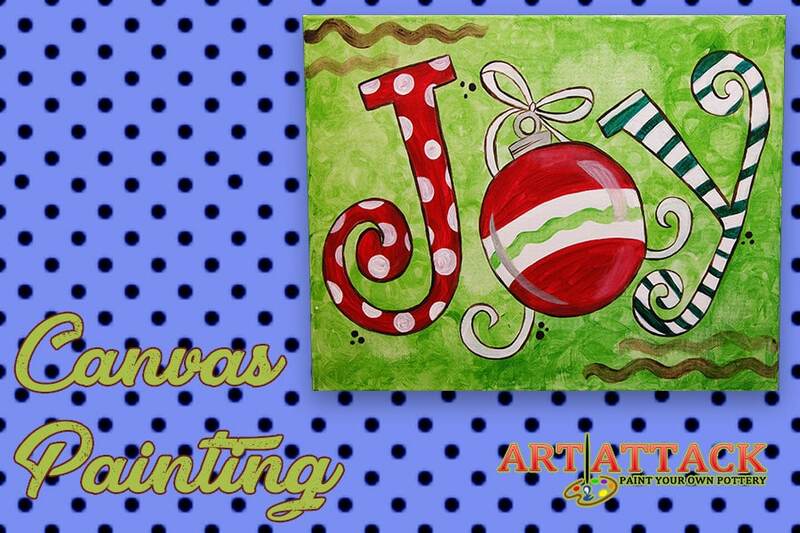 We also offer a variety painting classes for children and adults. Please click here to see upcoming classes and events.